Skip has always believed in a can-do approach to life--starting with winning the heart and hand of a pretty coed named Carol at McKendree College in 1959. Together they decided they wanted to live, raise their children, teach and farm in rural Elizabeth, arriving here in August, 1964. Always active in Illinois politics, Skip ran for U.S. Congress in 1982 and 1984. The race gained national attention and built a volunteer base of over 4000 dedicated people. However, the other side won! Then Skip ran for State Central Committee giving eight years of service before retiring. Meanwhile Skip was accepted into the administration of the University of Wisconsin, Platteville as Director of Information Services and Publications. In that role he won two national awards for his marketing concepts. He also taught U.S. Military History in the Graduate School. Skip's interests outside of his real estate business include: farming, sailing, tennis, guitar, flying and travel. 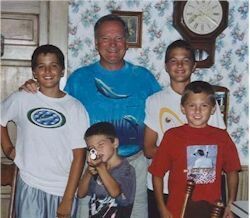 Four grandsons, Dylan, Luke, John and Michael get a lot of Skips attention. Currently in addition to real estate, Skip is President of the Upper Mississippi River International Port District and President of the Apple River Fort Historical Inc.
What we can envision we can achieve. This is what directed and still directs Skip's life. Like many readers, he still wonders what he is going to do when he grows up. 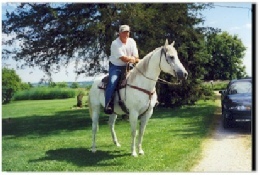 ELIZABETH - Carl "Skip" Schwerdtfeger, and his wife Carol, founded Old Northwest Land Company, Inc. in January of 1989. 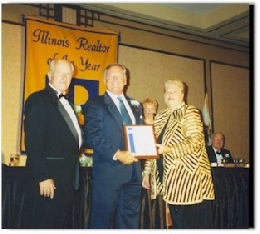 Since that time, the real estate agency has grown into one of the largest and most respected in northwest Illinois. Earlier this year, the Freeport-Galena Area Association of Realtors honored Schwerdtfeger by naming him the recipient of its 2002 Realtor of the Year award. "It took me by complete surprise," Schwerdtfeger said after receiving the award. "It's very nice to be recognized by your peers. I've done many things in the real estate business, but this (award) is a first for me." Schwerdtfeger explained that Old Northwest takes a cooperative approach to working with fellow agencies. "We have a unique industry in that our competition one day may be a partner in the sale of a home the next day, due to the listing of a seller and the agency representing the buyer," Schwerdtfeger related. "Old Northwest is very careful to maintain those good working relationships for the benefit of our customers." Schwerdtfeger's philosophy of business has been to create an ever widening "footprint" for the agency. "By truly knowing our markets, providing the highest level of service and having the best marketing program in the region, we enlarge our business footprint ." Schwerdtfeger teaches that all real estate transactions are "local." Land or property doesn't move, but buyers can come from all over. 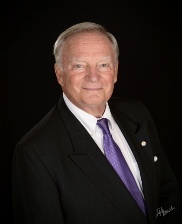 Schwerdtfeger taught real estate certification courses at Highland Community College for fourteen years and enjoyed working with aspiring real estate salesmen and women. Skip gives credit to his wife, Carol, for introducing him to the real estate business. "Carol began selling real estate in 1985," he added. "She got after me to join in the fun and I became active in 1986." The couple have been married since 1960 and make their home north of Elizabeth. 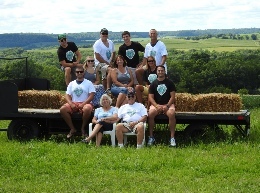 Skip and Carol with the family at the farm. 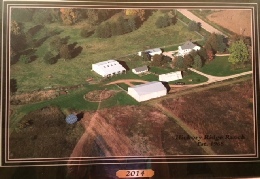 Hickory Ridge Ranch where Skip and Carol raised their family Caren and Rick as well as beef cattle and Morgan Horses. It has been their home since 1968. 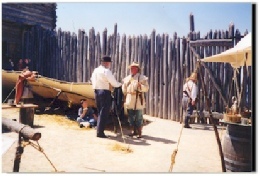 It is also the birthplace and original home of Old Northwest Land Co. inc. from 1989 to 1990.